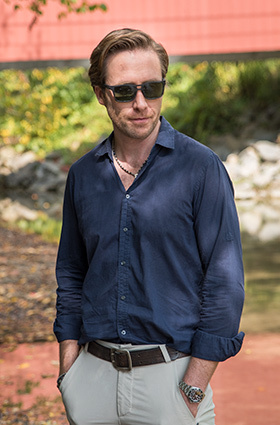 On Monday, September 18, World Water Monitoring Day attracted a high-profile visitor to Northeast Ohio: Philippe Cousteau, grandson of famed explorer Jacques Cousteau. 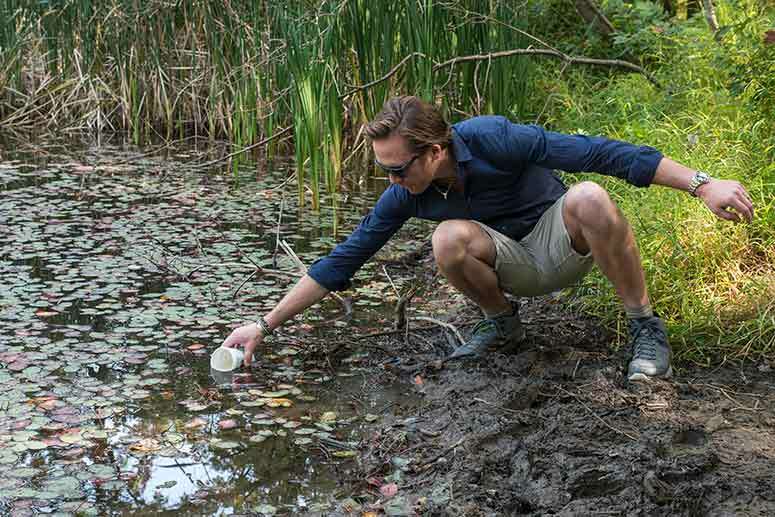 Together with local environmentalist and educator James Trogdon, Cousteau led a group of 150 students from four area schools—ranging from 4th graders to high school sophomores—in testing the water quality of the Cuyahoga River at Cuyahoga Valley National Park. The group also worked together to remove invasive species and plant trees for continued protection of water sources—and to show local youth how they can make an impact. The group's efforts and findings are also contributing to a larger effort being spearheaded by Cousteau's global non-profit, EarthEcho International. The EarthEcho Water Challenge gives people around the world tools to test their local water sources via a Basic Test Kit (which includes one set of hardware and enough reagents to conduct up to 50 rounds of testing for pH, dissolved oxygen, temperature, and turbidity). Anyone from educators to students to individuals interested in preserving their water quality can acquire the kit and share their results using the online data portal. So far, almost 1.5 million people in 143 countries have shared their findings for almost 77,000 bodies of water, making it the largest database in the world for water conservation efforts. “The whole reason that we [founded EarthEcho] is we really believe in the power that people have to change the world,” explains Cousteau. By "we," Cousteau is referring to himself, his mother Jan Cousteau, and his sister Alexandra Cousteau, whom he joined forces with in 2004 to create the organization in honor of Philippe Cousteau, Sr. Since then, EarthEcho has grown into one of the leading water conservation and research organizations in the world. Its mission? "To inspire young people worldwide to act now for a sustainable future" by conserving water, researching water quality, and documenting their findings using the hands-on test kits provided by the foundation's website. As an education advisory panel member for EarthEcho, Trogdon shares Cousteau's aims of raising water conservation awareness in local communities. Sharing Northeast Ohio's great outdoors with students is a labor of love for Trogdon, who teaches at Akron-based Coventry Middle School. For over 20 years, Trogdon has been guiding students to the Cuyahoga Valley Environmental Education Center, teaching them about sustainability and conservation and showing them tools that support these efforts. Trogdon is also an advocate of "lifelong learning" and tries to impart the permanence and positive impact of their efforts among the youth he teaches. 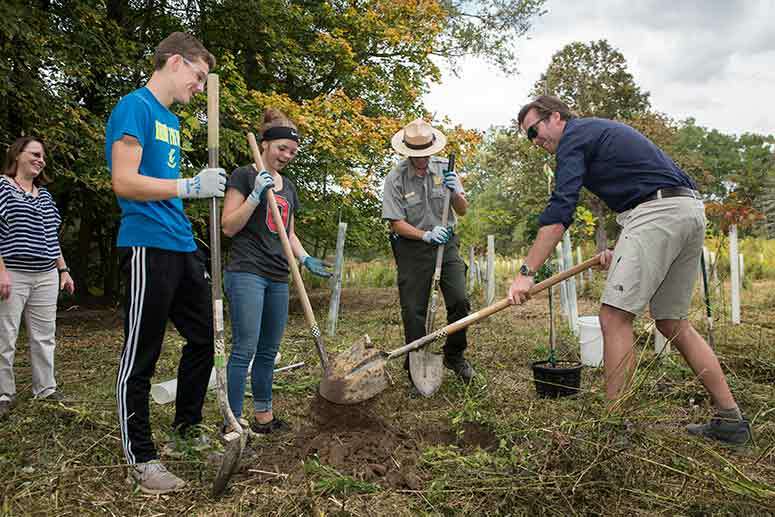 "[At the event, I told students], 'When we plant trees in this protected area, people will see this Sycamore 100 years from now,'" says Trogdon. Along with the chance to affect positive change, the students also benefited from the opportunity to work closely with Cousteau—who has become a globally respected leading voice for environmentalism. His work has taken him to the United Nations and Harvard University, and Cousteau has also served on the board of directors for the Ocean Conservancy, National Environmental Education Foundation, and the Marine Conservation Institute. If Cousteau looks familiar, it's because he also spreads his message through various TV platforms. From 2009 to 2011, Cousteau was the Chief Ocean Correspondent for Animal Planet and also worked with the BBC and CNN. Since 2014, Cousteau has hosted (and is now executive producer of) the Emmy-nominated syndicated series "Awesome Planet." In 2016, Cousteau and his wife co-hosted "Nuclear Sharks," Discovery Channel’s top-rated show during Shark Week. The husband-and-wife team are also starring in the Travel Channel's “Caribbean Pirate Treasure,” which premiered in August. Both Trogdon's and Cousteau’s schedules continue to be full after the event this past Monday. Trogdon will be analyzing the data they collected to educate students on how gradual shifts can add up to a great change in the future. Already, he is encouraged by the preliminary findings, saying that the Cuyahoga River water quality has improved over testing from past years. As for Cousteau, he is currently traveling to Los Angeles for his Travel Channel series, after which he'll attend the the Water Environment Federation conference in Chicago and return to the EarthEcho headquarters in Washington, D.C.